At the 8th PhD Summer School in Discrete Mathematics, we will start with giving award for the best students talk, intended for PhD or master students. All students that will give a talk during 8th PhD Summer School in Discrete Mathematics will be automatically competing for the best student talk award. Students can submit the titles and abstracts for their talks until June 10, 2018, by sending it to the e-mail: sygn@upr.si. The committee members for year 2018 are Colva Roney-Dougal, Gabriel Verret and Klavdija Kutnar. The recipient of the award will get the certificate and free participation at the 9th PhD Summer School in Discrete Mathematics to be held in 2019. 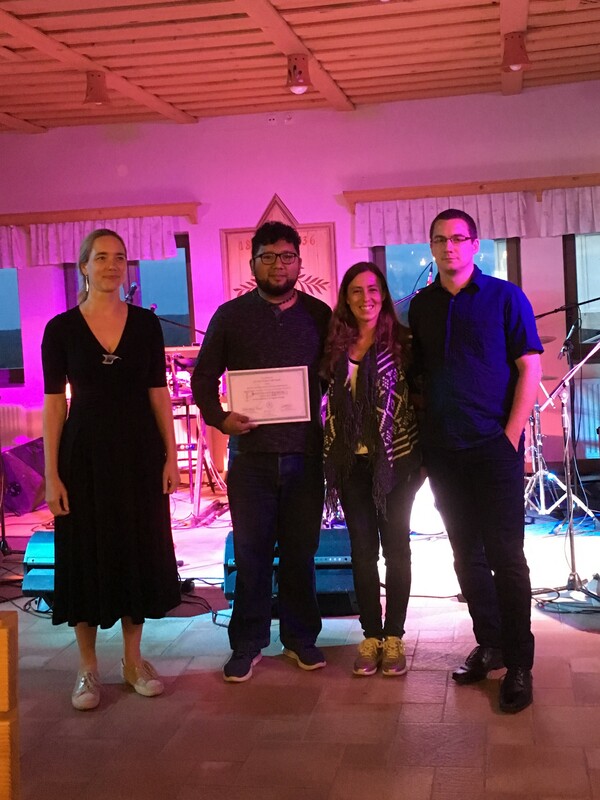 The winner of the Best Student Talk Award at the 8th PhD Summer School in Discrete Mathematics is José Antonio Montero Aguilar from National Autonomous University of Mexico, Mexico for the talk entitled Chiral extensions of regular toroids.